We are happy to inform you that our team has developed a new interesting demo contest CRYPTOBATTLE! Demonstrate your proficiency in margin trading in cryptocurrency competing with traders from all over the globe! The first contest week starts on 12.02.2018. CRYPTOBATTLE from LiteForex allows you to assess the potential of cryptocurrency instruments, perfect your trading skills and win a big prize without risking your own deposit! 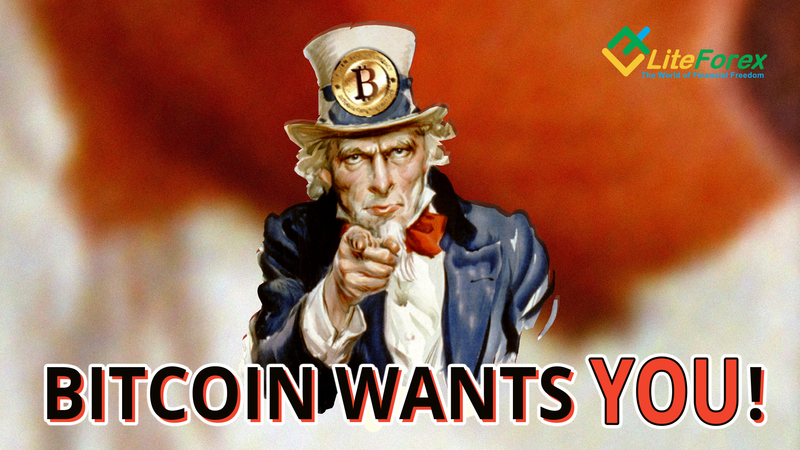 The contest prize fund amounts to 1.3 bitcoins weekly! Prizes are real money and are paid in clients’ bitcoin wallets. Catch your chance to become the first in the CRYPTOBATTLE demo contest and win a truly impressive prize! Registerin the first stage of the CRYPTOBATTLE demo contest right now! And may the strongest win! Cryptocurrency trading can be done in all accounts and trading platforms (MT4 and MT5) in a 24/5 mode. Our liquidity providers will ensure the best cryptocurrency quotes and fast execution. Aggregated liquidity allows us to provide our clients the best prices while your trades will be protected by many years of LiteForex’s experience and reputation. I go on reading the charts and trying to predict our old Bitcoin’s future. Let’s look at the last forecast. We see that Bitcoin was obediently moving within the suggested trend lines. 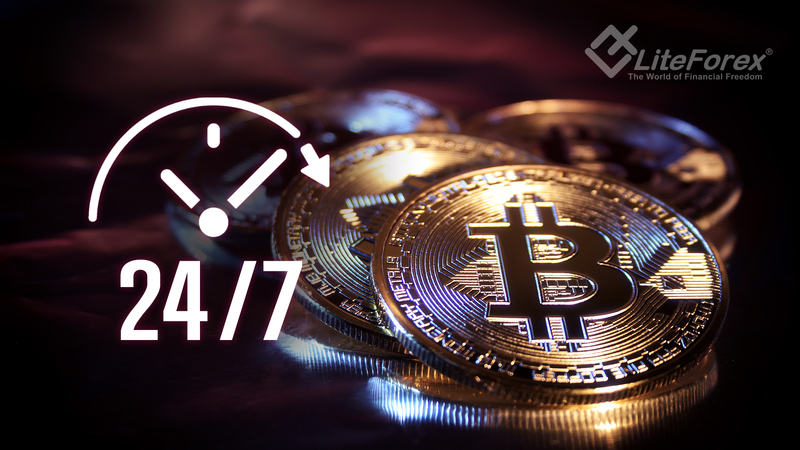 We are glad to share some good news with you: from now on, cryptocurrencies will be available for you to trade in 24 hours per day, 7 days per week! 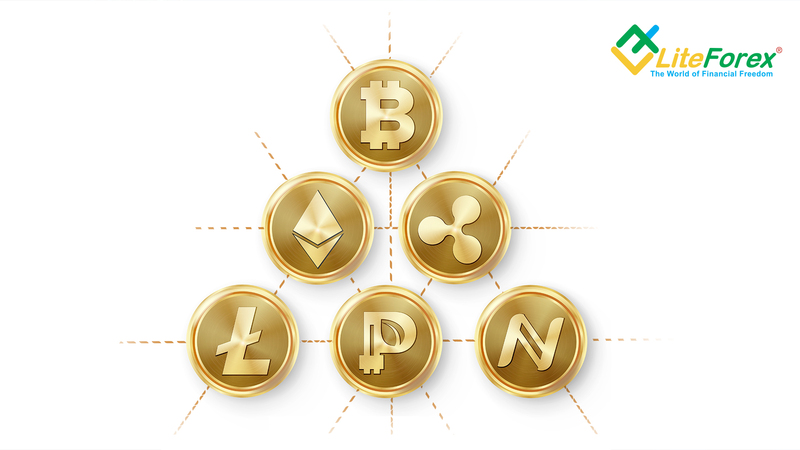 Since cryptocurrencies were included on LiteForex’s list of trading tools, they’ve become extremely popular with our clients, being a promising margin trading tool. Looking for more opportunities for you to make profits, we are now ready to provide you 24-hour access to the market of cryptocurrencies. Sell or buy popular cryptocurrencies whenever you want. Make use of margin trading opportunities choosing crypto-pairs from the list and boost the potential of your trading strategies in a 24/7 mode. The winners will get a marvellous opportunity to start a trader’s career on the Social Trading platform with a big initial capital! The prize fund of the BEST OF THE BEST demo contest that will be shared among the best 5 traders amounts to $4000 monthly. The registration of participants in the first launch of the BEST OF THE BEST demo contest has already started! Take part in our new contest and prove that your trading strategy yields the most profit with the least risk. Provide yourself with a brilliant career and win a big money prize! Analysis for Bitcoin Cash to BTC. Updated BCH scenario, based on growing Bitcoin. Targets to trade Bitcoin Cash. Bitcoin Cash key levels. In this post, I applied the following tools: fundamental analysis, all-round market view, graphic analysis, market balance level, oscillators, volume profile, key levels, trendline analysis, market sentiment analysis. I’m carefully watching Bitcoin Cash state and the hot battle between BCH administration and BitPico hacking group. BCH developers decided to apply rather primitive tools to fight with the naughty BitPico. BitcoinCash Core started blocking IP addresses of the nods, suspected in unnatural activity, threatening the nods of the users that may be guilty of nothing. This idea looks like a “Mafia” game. First block, then find out, which was killed, a Mafiosi or a common person. The fact itself that such blocking is possible means the network centralization, badly affecting BCH. Another thing that hints at BCH centralization is the location of nods. According to BitPico, around a half of all blockchain key nods are on the Alibaba cloud servers. 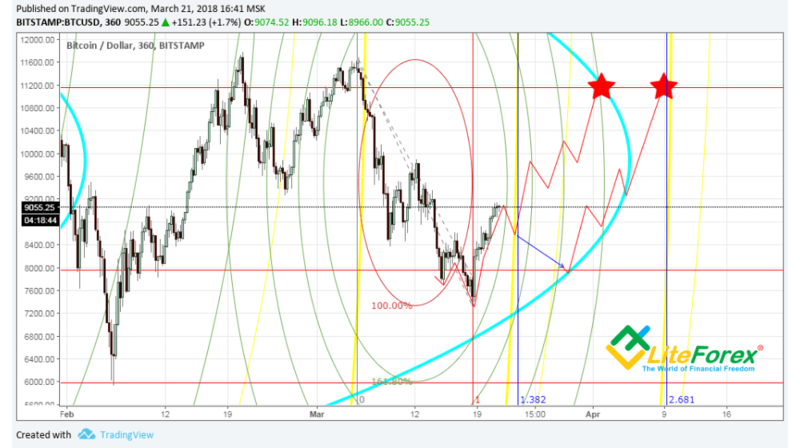 XMRUSD analysis: Perfect Growth Potential! Should you buy Monero now and what is the best price to buy? In this post I applied the following tools: fundamental analysis, candlestick patterns, all-round market view, oscillators, volume profile, graphic analysis, trendline analysis. I go on my series of cryptocurrency price forecasts. Today, I’d like to analyze the situation for XMRUSD. What are the reasons for such a price surge of XMRUSD and should we buy it now? I’ll try to find out below. ETHBTC analysis: to fit into reversal! ETHBTC analysis and the updated middle-term forecast for Ethereum. ETH key levels and Ethereum general outlook. In this post I applied the following tools: fundamental analysis, all-round market view, oscillators, key levels, graphic analysis, trendline analysis, Renko chart, Kagi chart, Line Breakout chart, Tic-Tac-Toe chart. I go on my cryptocurrency price predictions and today I’d like to dwell upon Ethereum and analyze the ETHBTC trend. First, let’s see how accurately the ETHBTC price matched to my last forecast. Today I would like to do another forecast for the Litecoin and update the scenario for the pair LTCBTC. I noticed that my last forecast for this pair was written on 21.06.2018, i.e. it has been more than three months. ETHUSD analytics and the updated Ethereum forecast. Is ETH worth buying? Where will the price for the most popular altcoin will go? In this post I applied the following tools: fundamental analysis, all-round market view, market balance level, volume profile, graphic analysis, trendline analysis, Range bars, Tic-Tac-Toe chart. 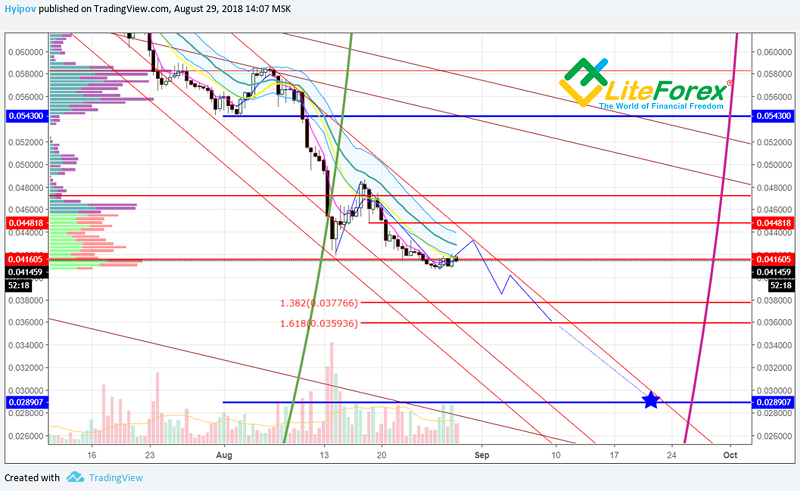 As usual, the second crypto analysis in the week is ETHUSD analysis. Ethereum is actively striving for the status of the second largest cryptocurrency by market cap, and no other coin has shifted ETH from its top position for a long term.